On Monday morning, the U.S. Supreme Court released its decision in the case of Utah v. Strieff, which deals with the Fourth Amendment right against unlawful police searches and seizures. Specifically, in 2006, Edward Strieff was stopped by police while walking to a convenience store in Utah. After the officer ran his identification and found an outstanding traffic warrant, Strieff was arrested and searched. The officer found methamphetamine and other drug paraphernalia on his person. 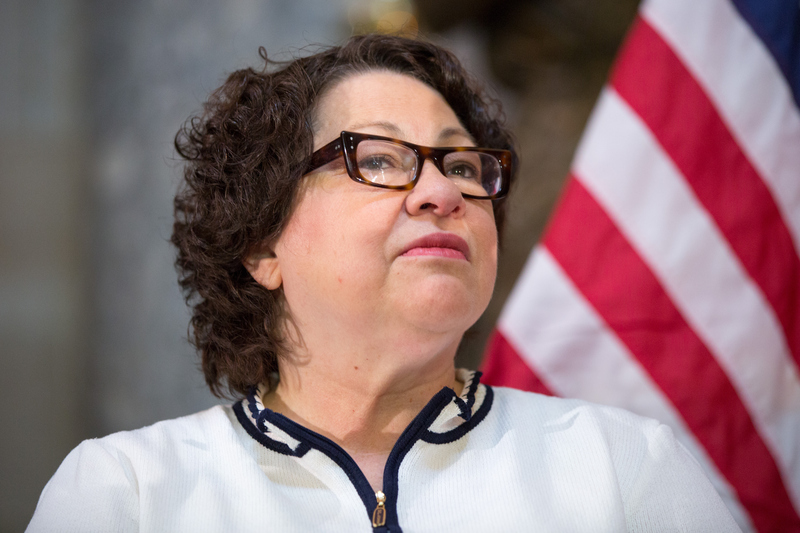 On Monday, Justice Sonia Sotomayor dissented on the racialized violence of allowing police conduct of this kind. The Supreme Court agreed to hear the state's petition on the case in October 2015, and has reviewed it since, offering an opinion on June 20, 2016. In a 5-3 decision, the Court sided with the state of Utah and claimed that the search was legal, even though the stop was not. In her dissent, Sotomayor offered important insights into the precedent this case would set for unlawful searches and seizures, and specifically the effects it would have on people of color, who are already disproportionate targets of policing in this country. In a four-part dissent, Justices Sotomayor and Ruth Bader Ginsburg uncovered the ways in which police conduct would be illegal in such cases. They wrote, "When 'lawless police conduct' uncovers evidence of lawless civilian conduct, this Court has long required later criminal trials to exclude the illegally obtained evidence." However, Ginsburg did not join in part IV, where Sotomayor touches on race. She wrote, "If the officer discovers a warrant for a fine you forgot to pay, courts will now excuse his illegal stop and will admit into evidence anything he happens to find by searching you after arresting you on the warrant." By legitimizing the conduct that produces this double consciousness, this case tells everyone, white and black, guilty and innocent, that an officer can verify your legal status at any time. It says that your body is subject to invasion while courts excuse the violation of your rights. It implies that you are not a citizen of a democracy, but the subject of a carceral state, just waiting to be cataloged. We must not pretend that the countless people who are routinely targeted by police are "isolated" ... Until their voices matter too, our justice system will continue to be anything but. That this ruling comes from a justice of the highest Court is notable, especially considering the ways in which the legal system of the United States has too often marked black and brown bodies as criminal solely because of their race. The Counted, an investigation of police shootings by The Guardian, found that "Black Americans are more than twice as likely to be unarmed when killed during encounters with police as white people." Black Americans also account for 1 million of the total 2.3 million people who are incarcerated in U.S. prisons, and are more likely than white people to be incarcerated for drug offenses. In 2011, 87 percent of arrests enforced by the NYPD's Stop and Frisk program were black and/or Latino. Sotomayor's dissent is important. In a country whose legal system disproportionately targets black people, her words shine a light on the racial double standards of the U.S. justice system. You can read the full document here.